PAPERBOARD PACKAGING TRENDS FOR 2017 | Planet Paper Box Group Inc. The paper converting industry is facing critical challenges as the year 2017 is approaching. The trends we identified last year evolved and continued to draw attention from converters worldwide. Paperboard packaging trends in 2017 affect mature markets and developing nations at different levels. However, they share common traits that predict sustained growth in their folding carton industries. For example, the acceleration of everyday life, with work absorbing much of our time and microwavable meals and frozen foods simplifying dinner preparation. This translates to more folding carton packaging. The industry has a solid future, as forecast by several international studies, which predict a 4-5% CAGR leading to a $100 billion global market by 2020. Folding cartons continue to be one of the most versatile, sustainable and cost-effective ways to package and deliver goods, with endless possibilities in visual appeal. The fastest growing region is Asia-Pacific, estimated to reach a 60% share by that year. Healthcare, tobacco, and household care will play a significant role in this increase. In developing nations, the most educated population segment is getting access to more qualified jobs and higher disposable income. They are replacing some of the traditional meals by more “modern” processed, frozen, packaged food. In these markets, the potential for growth is much higher as many of these products do not exist in this format at all, or have only limited reach yet. There is a change from “unpackaged” to “industrially packaged” goods, leading to increased use of folding carton and liquid cartonboard in food and beverage. In many cases, packaging machinery and paper converting equipment are still outdated and cannot perform at the level required to fulfill this growing demand. This is an opportunity for paperboard packaging machine manufacturers. The Freedonia Group has projected a 7% yearly growth in the sector – one of the packaging trends for 2017 through 2019. Rural population continues to migrate to urban areas, reinforcing these consumption patterns (fast-paced life, use of packaged and frozen foods, fast food, delivery, and takeaway). United Nations predicts that by 2050 two-thirds of the world’s people will live in cities (from 54% nowadays). “Dinner and a movie” is gradually being replaced by “food delivery and home theater,” especially by millennials, the currently largest demographic in the US. Over 30% of Americans orders food delivery twice a week, and is estimated to grow at 3% CAGR. Takeaway food packaging has, therefore, an increased sales potential. More traditional restaurants are also adding this option, sometimes provided by third party delivery systems. Quick food chains are incorporating more nutritious and healthy meals to be able to compete with myriad other options available online, which the customer can substitute with a single click. Location, location, location is no longer a dominant factor in consumer choice. Food delivery then fuels one of the packaging trends for 2017 – a growing demand for takeaway boxes and tray style folding cartons. The battle is now in the supermarket freezers, where products need to stand out in front of a consumer that is not willing to spend much time understanding them. Brands are putting pressure on printers and converters to deliver more colorful packaging, with high-end finishing like hot-foiling, spot varnishing, and embossing. Packaging trends in 2017 confirm that products are not only picked from the aisle but rather clicked in the e-commerce version of the store. So the “front” of the folding carton takes more importance and become a billboard that must quickly identify the brand and the unique selling proposition with clear visual cues. In mature markets, paper converters have been struggling to extract every bit of productivity from their equipment, but these improvements are becoming marginal. To remain competitive, they are investing in next generation paper converting machines that enable them to reduce waste and decrease changeover times, including clean-up, make-ready and start-up operations. The newest folding carton machines work with less energy, which is not a negligible expense. In an industry where margins are narrow, every bit counts. And achieving these savings, printers and converters are reducing their environmental impact as well. The need for higher productivity is accompanied by the necessity to comply with environmental regulations and satisfy a growing consumer base that demands that products (from the ingredients to industrial processes and their packaging) have the least impact on natural resources. Recent Nielsen surveys show that 66% customers would be willing to pay a premium for sustainable products. Tetra Pak also found similar trends in sustainable packaging among millennials. Consumer brands have approached this by redesigning their products so that less packaging is required. Kraft Foods reduced its Easter eggs packaging by 10%. Kleenex redesigned its tissue boxes subtracting 30% packaging material. Kimberley-Clark cut down its ink consumption and shrunk their corrugated board usage by 55% for some of their product lines. McDonald’s has recently announced that its European centrally procured packaging is 100% from sustainable sources, either recycled or from certified sustainable forests. Coca-Cola has a prototype called PlantBottle that utilizes 100% bio-based raw material. Paper mills have also responded with lightweight paperboard; that can achieve comparable compression strength and printability at lower grammage. Lower weight also means less shipping and storage costs. This is one of the packaging trends for 2017 that we will be monitoring and reporting in next articles. The growing concern about package disposal after use has sparked ideas about edible packaging and packages that match the lifespan of the product, degrading or decomposing afterward. However, the issue of product contamination with packaging components is subject to continuous review. There are additional challenges for paperboard manufacturers, folding carton printers and converters in the food industry, as packaging must preserve consumers’ health at every step. Migration of chemicals from paperboard, coatings, linings, inks and glues to the actual product may pose hazards. Attention must be paid to the use of recycled paperboard, as the original composition of the substrate is unknown. For example, if it came from recycled newspapers, mineral oils found in it are adverse to health. 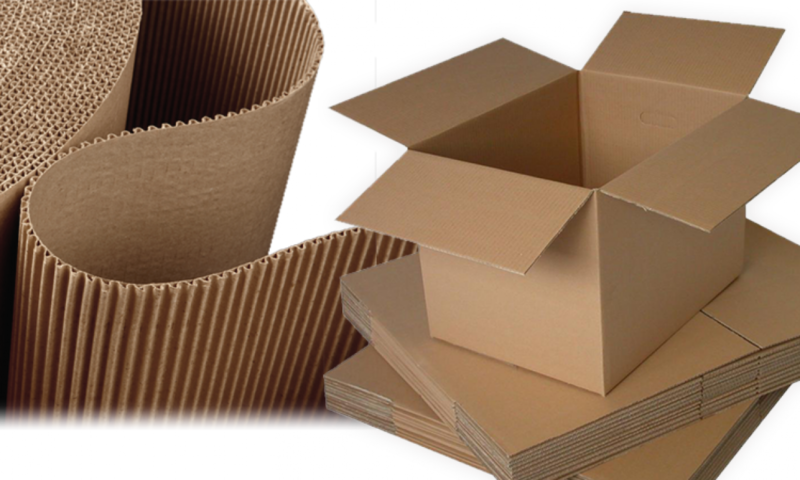 Packaging trends for 2017 anticipate an increase in the utilization of virgin paperboard. The most stringent package printers and converters keep a detailed record or every element they utilize from paperboard (and the paper mill’s raw material sources and chemical used) to inks and glues. Last year we mentioned downsizing as a significant packaging trend, and in 2017 we will see it progressing as households comprise fewer members on average. Paperboard package designers also have to juggle with consumers that want more functionality from the packaging. Packages that open easily, have self-closing mechanisms and can be consumed on the go are in high demand. People who follow a portion-control diet, need individual or partitionable units, and re-sealable containers. On top of this, each of their members eats at a different moment (in fact many of them on-the-go). According to research by The Hartman Group, 15% of all eating is done within one hour of purchasing. Millenials represent 40% of this figure. A study by Mintel reports that 36% of people are interested in packaging that simplifies eating on the go, and 23% often buy individually portionedpacks. In fact, 41% stated that they would pay more for single-serve vegetable packages, to prevent food waste. So individual packages or multi-unit versions have a growing market ahead. This packaging trend will raise an interesting controversy in 2017: on one side, green initiatives, the need for less packaging, less waste, less use of materials, and on the other side, the product that was packed in one carton is now sold in two or three, utilizing much more paperboard and plastic. Paper converters are under pressure by consumer brands to reduce waste, emissions, chemicals and any hazardous processes. The need for flexibility demands that changeovers be much simpler and quicker to implement. It also implies lower ink and paperboard usage. Shorter runs also allow to customize the packaging for specific markets or even demographics or to perform graphics variation tests, as this becomes one of the packaging trends in 2017. Digital printers developed by major manufacturersare steadily improving their performance. Though not mainstream yet, they solve many of these issues for small scalle jobs. As consumers get more sophisticated, packaging for the premium and luxury brands commands impeccable color reproduction, decoration, embossing, varnishes and overall strength. These formats tend to use higher paperboard grades such as GC1 (pigment coated virgin bleached pulp) and SBB (solid bleached board). Package printers and folding carton converters are investing in newer equipment to satisfy these needs, according to PostPress magazine. High-end craft / gourmet brands are driving these packaging trends for 2017, combining short runs, numerous changeovers, with foil and specialty coating application. According to Deloitte, 55% of consumers would pay up to 10% more for a healthier product, and 26% would pay even more. The healthy food consumers need to see hints that the product is as natural and fresh as possible. The photographs, illustrations, iconography, and labels must clearly “prove” this. Transparent packaging or at least see-through windows can be of great help too. Research by Mintel indicates that 38% of consumers would rather pick products that allow them to view the contents. Consumer brands are getting this packaging trend, and since 2013, when 8% of new packaging designs included cut-out windows, today 12% of new styles include one. Errors in medication and dispensing cause one-third of all “adverse effects” in the UK, as a recent study found. If the packaging could have embedded electronics that could monitor frequency and dosage many of these incidents would be avoided. The use of holographic images, Fresnel lenses and QR codes is another “smart” feature, helping prevent counterfeiting. The global growth in e-commerce sales will continue to require more and more corrugated cardboard packaging in 2017 and is expected to growth 5% CAGR until 2020, Technavio forecasts.